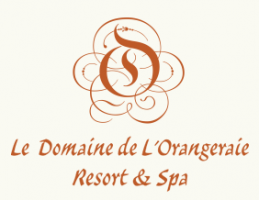 Le Domaine’s 63 villas are located a few steps away from famous Anse Severe beach. 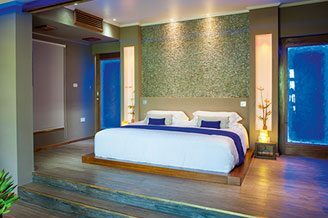 Each villa has its unique features and enjoys a zen style brighten up with earthy tones of the interior design. 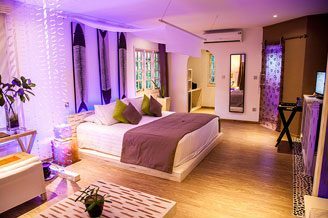 Five different and discrete categories are situated in an exceptional natural environment to create unique enchanting in-villa experience on La Digue, in The Seychelles. Children from 4 y.o onwards are most welcome in our Garden Villas and Garden Suite Residences only. All our villas have Nourished By Nature amenities, made in The Seychelles and are 100% natural. Kindly click on the villa names to know more about the various categories. The luxuriously proportioned Presidential Villa symbolizes the ideal place where to free mind and refresh soul in a very personal cocoon, where your private butler pampers you. 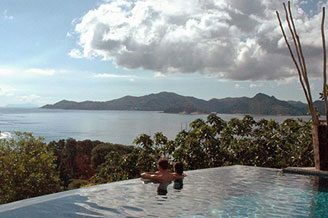 At your disposal : private infinity pool and whirlpool. Ideally suited to the most reclusive, the Villa de Charme “Élégance” is carefully located to offer seclusion as well as a private whirlpool. 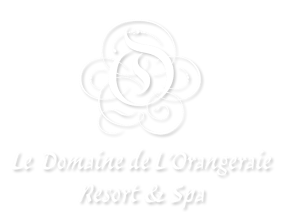 Le Domaine’s Villas de Charme are ideally located against the slopes of the hillside to offer views over the the luxuriant surroundings. The Garden Suites Residences are specially designed with family at heart. 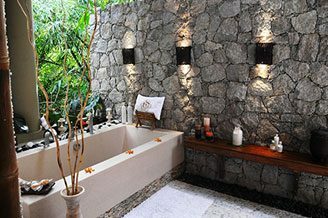 The 60 sqm Garden Villa offers the convenience of a peaceful and spacious accommodation set in an enchanting surrounding.